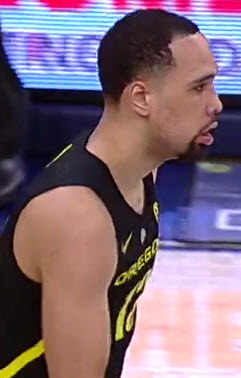 Both Oregon men’s basketball teams played this weekend. On Thursday against Arizona, you saw the one with heart that ran down every missed shot and made the extra passes to create easy shots. That team won. On Saturday, the team full of “athletes” couldn’t shoot the ball into a swimming pool. Horrific shooting — again — 26% in the second half. Take nothing away from Oregon’s heart in the past two weeks. They have found an identity, and a couple of leaders in Payton Pritchard and Louis King. This team is still capable of winning 20 in the regular season, but it has to find more than one or two consistent scorers. When Paul White is right, the Ducks are tough. When he isn’t, neither are the Ducks. Paul White was terrific against Arizona, but he did very little against Arizona State. 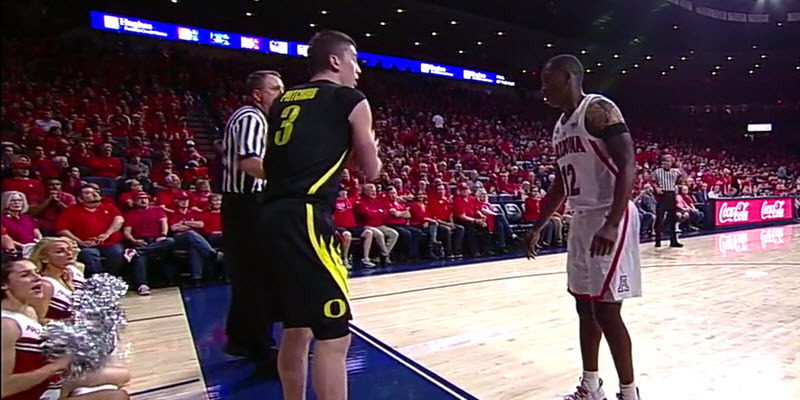 Twice he stood flat-footed while Pritchard ran past him to chase down a loose ball. Twice more he stood around on a defensive rotation and let someone shoot a three without even putting a hand up to contest it. Oregon needs him to be consistent. Victor Bailey went 0-9 Saturday, and did not score a single point. He missed four straight wide open three-point shots. Wide open. Oregon needs White and Bailey to make shots, and needs them to defend and rebound. Herb Brooks once told the USA Hockey team in 1980 “You don’t have enough talent to win on talent alone.” The same is true for this Ducks team. Ehab Amin plays with guts but is not always smart. There’s a dunk you’re going to see Oregon giving up a hundred times this year. And when you do, remember this: it will be 100% Amin’s fault. Amin was selfish and playing hero ball on defense. He gambled in front of Zylan Cheatham when he didn’t need to. That left Kenny Wooten, who had three fouls, at the rim, knowing he couldn’t foul again. Cheatham’s huge dunk brought the crowd into the game. Oregon had played defense for 25 seconds and Amin selfishly gambled. Amin had a lay-in on a break that was blocked because he didn’t put his body between himself and the defender, and he drove twice and turned it over. That’s not his game. He was trying to do too much. Love the heart, but the Ducks need more brains from him. 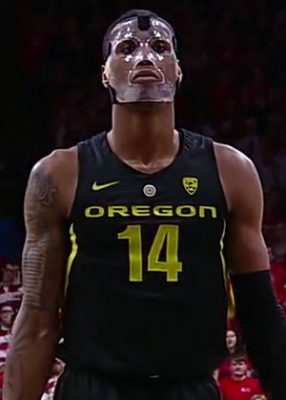 Oregon needs Kenny Wooten to be menacing at the defensive end. Two quick fouls killed that against ASU. Bailey gets to the rim a lot, then tries to go up and under and up and over and behind and around and everything spectacular that he can think of. Here’s an idea: go up and dunk it and make them foul you. He has that kind of athleticism and needs to use it at the rim. Need a third team to watch? One you can really get into every game? Oregon’s women’s team is now 17-1 and rolling. Satou Sabally is starting to emerge as one of the top players in the conference, if not the nation. Against ASU, Sabally ran the length of the court and blocked a three in the corner to help them close it out, 39 minutes into a game she had dominated at the offensive end. Pretty impressive. This is a really fun team to watch. They move the ball, make plays for each other, rebound, and make the extra pass. And their game is expanding. Sabrina Ionescu now has 16 career triple-doubles, after posting one Sunday against Arizona in their 93-60 win. She had 12 rebounds and 12 assists while scoring 21. Sabally scored 25, with three blocks and five boards. Oregon led 31-4 after the first quarter. An unbelievable team.